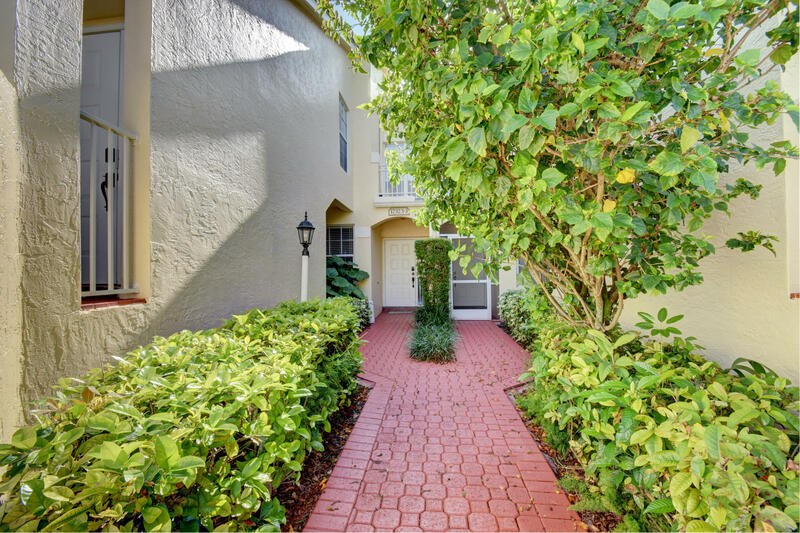 So many quality updates and improvements, you must come and see this beautiful ground floor, meticulously maintained 3/2 carriage home in the highly desirable and lush community of the Boca Golf & Tennis Club. This bright home offers plenty of natural sunlight. The eat in kitchen is complete w/ beautiful wood cabinets, granite counters, and upgraded stainless steel refrigerator and dishwasher. Updated modern bathrooms with custom vanities and lighting and beautiful California closets in bedrooms. Large laundry room with new flooring, updated washer/dryer. Convenient attached garage, water heater (2017) and A/C (3 years new). Manned gate entrance with 24 hour security patrol. This all age community is pet friendly & offers a heated pool just steps from the home.